The people of Sri Lanka on 8 January 2015 made political history. The 8 January election result was clearly a victory for Sri Lankan democracy - a last-minute motley coalition ‘David’ defeated an apparent ‘Goliath’ by doing little more than using its wits and the support of the public. But based on the promises Sirisena and the opposition coalition made during the campaign, the election outcome also saw a rebalance of Sri Lanka’s external relationships as well as its approach to governance at home. The Opposition campaigned vigorously against corruption, accusing the Rajapaksa government of siphoning off funds to its own family and leading the country to a future of international isolation and economic insolvency. Based on Sirisena’s campaign manifesto, the first order of priority was clearly the promised anticorruption probes, the cancellation of suspected sweetheart deals and a review of Sri Lanka’s foreign indebtedness—particularly to China, which had become a major provider of economic assistance and investment in recent years. The next priority of the Sirisena government was more specifically “compassionate” governance—seeking to restore the balance vis-a-vis the responsibilities divided between parliament and the presidency, scaling back the accrued powers of the presidency and tackling nepotism. 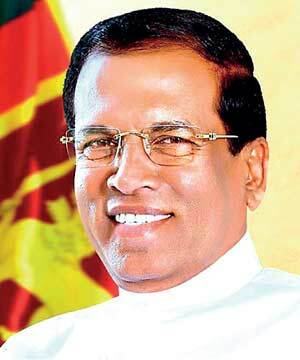 Sirisena’s campaign promise was to focus on restoring Sri Lanka’s international image as well as strengthening its “cordial relations with India, China, Pakistan and Japan” and other important Asian partners (Thailand, Indonesia and the Republic of Korea). The campaign manifesto promised to improve relations with India “with an approach that would be neither anti-Indian nor dependent”. Though the manifesto spoke of only taking a “humanitarian” approach to the human rights question and a less defiantly defensive approach to the difficult national question of ethnic reconciliation, that too was to be expected, nearly five years after the end of a brutal 30-year conflict. A faster implementation in letter and spirit of the hundreds of excellent and far-reaching recommendations provided by the domestic Lessons Learnt and Reconciliation Commission (LLRC) report released publicly in November 2011 was expected. However, looking back many of these promises have still not been effectively addressed and therefore need to be addressed in 2016. Another priority is to improve our global competitiveness. Countries, like companies, compete. Nations compete for investments, trade, trade in services and tourists. This focus on national competitiveness has been increasingly reinforced by global competitiveness rankings published on a regular basis by a variety of institutions. These are comprehensive reports that benchmark our performance and attractiveness as a nation state in the economic sphere. Global rankings are important for two reasons. First, they are a set of diagnostic tools, which highlight the strengths we can build on, as well as the challenges that must be overcome, in order to become more globally competitive. Second, investors pay close attention to the indicators and use the information to assess country standings across a variety of metrics. As a country, we have slid from 65th to 73rd this year on the Global Competitiveness Index (among 144 countries). What is causing this? It is clearly a couple of top-line issues in our national priorities. In general, our national competitiveness both in the formal and informal sectors needs to improve. This is worsened by low productivity and resource misallocation. The root cause could be the lack of a national strategy to strengthen our competitiveness, accountability and transparency, the quality of management within business enterprises and the vibrancy of capital markets, implementation delays and skills and competency shortfalls. Another issue that needs urgent attention, which is causing this misallocation, is the colossal financial losses in our state-owned enterprises. Significantly are the CEB, CPC and Railway and Transport Board. Therefore, attracting a minimum of 35+% of GDP in both local and foreign investment would be required to keep to the current 7%-8% plus growth that the country needs to get beyond the middle income trap. Therefore, we need a national strategy to deal with some of the economic challenges facing the country and create wider participation among our citizens in a broad sphere of economic activities. The challenge facing Sri Lanka has a number of dimensions – all of which must be addressed to accelerate economic growth and increase prosperity for all Sri Lankans. To achieve this, we would need to create productive new jobs, overcome the public debt crisis, channel resources effectively for infrastructure development, improve productivity by building and growing skills and expand our manufacturing base. Improving productivity would be the key to accelerate economic growth and transform the economy to meet the economic challenges that face the country now and in the future. However, that requires greater investment in education to improve educational opportunities for the young as well as for the workers to change jobs and upgrade their skills. A comprehensive and sustained effort therefore is required to reduce the barriers that impact productivity and as a result limit investment and economic growth. A major share of that responsibility rests with the private sector for accelerating economic growth, increasing jobs and income and providing the resources that are required. It is the private sector that should make the decisions that determine productivity and it is on this basis that our future growth should be directed. This however requires a conducive business environment where everyone is treated the same and where the rule of law applies without fear or favour. It is where every entrepreneur, big or small, has the ability to grow and expand on his or her own merit. Our financial services industry also needs to engage much more in activities that improve our competitiveness, followed by the construction and real estate sectors. Another priority area would be to design and implement a stable and efficient low-tax regime that will meet the Government’s revenue requirements and be conducive for new investments. Therefore the Government must demonstrate the leadership required and put in place an administration structure that has the skills and competencies to create a level playing field that can benefit the entire business community – large, medium and small – by ensuring consistency in policy and providing a business friendly environment for all Sri Lankan firms to prosper. Equally, businesses must also do much more to improve our competitiveness while contributing to their own success.